Longtime collector W.G. 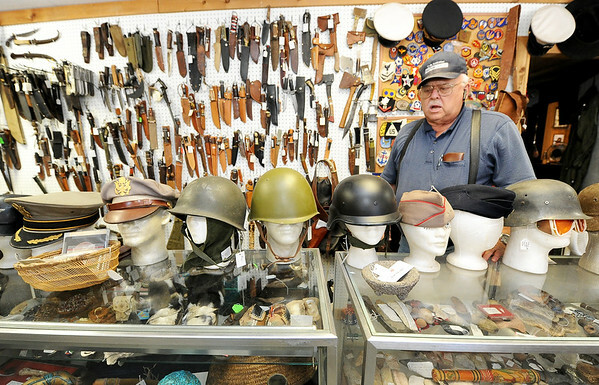 "Trip" Triplett, of Circle T Collectibles in Carl Junction, stands near a variety of military head gear from across the globe. Triplett began collecting Native American and military artifacts 71 years ago and has countless items at his store and his home.